The Phillies have been having a great year so far. 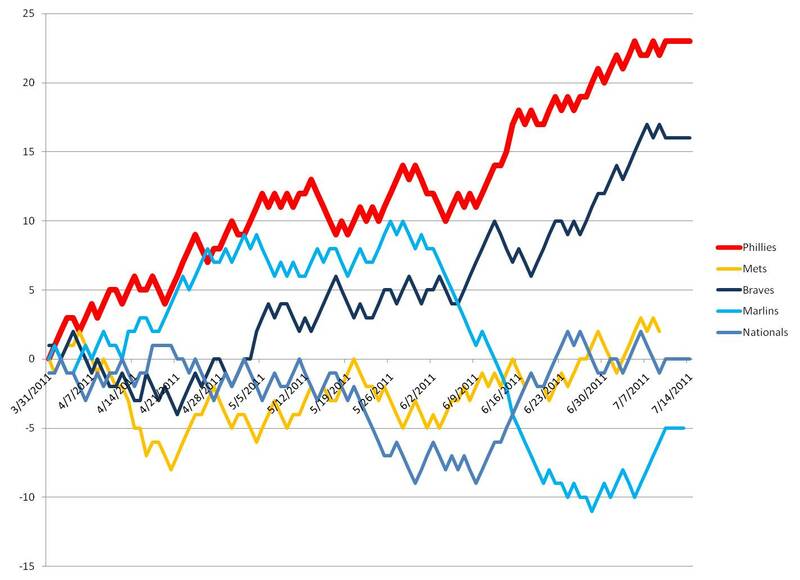 Here is a cool chart showing the NL East race so far this season. The biggest thing you can see on this is the big dive that the Florida Marlins took at the start of June. They seem to have recovered a bit the last few games, but are probably out of the race for this year.